According to the production process, API 5L specifications of the line pipe is divided into 8 kinds, seamless steel pipe, ERW steel pipe, submerged arc welded pipe and so on. 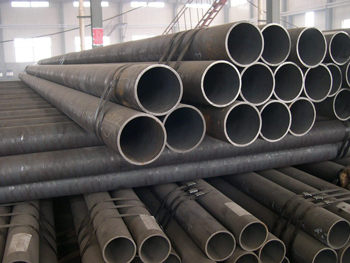 But the most widely used type is seamless steel pipe, straight seam high frequency electric resistance welded pipe (Electric Resistance Welding, named as ERW), LSAW pipe (Longitudinally Submerged Arc Welding, named as LSAW), spiral submerged arc welded pipe (Spirally Submerged Arc Welding, abbreviated as SSAW), etc. The size of seamless steel pipe and welded pipe is limited in different conditions, the larger diameter of that usually adopt longitudinal submerged arc welded pipe and spiral welded pipe. SSAW pipeline is allowed to use in Italy. In Canada, LSAW and SSAW is regarded as equally important, but in practice, SSAW accounted for about 70% in the main line. SSAW was rarely used in the former United States, Japan and Germany. With the establishment of more and more oil and gas transport lines, seamless limitations and limits of the size of the welded tubes are slowly emerging. These countries are also increasingly using LSAW and SSAW. Russia fully affirmed the advantages of SSAW, so the main line is generally preferred SSAW tube. According to the forming process, the SSAW pipe has a lot of residual tensile stress (Maximum up to 200 ~ 300 Pa). While in the process of UOE forming process, there is an enlarged diameter. The surface of that compressive residual stress is - 200 ~- 300M Pa. In the process of mechanical expansion, UOE tube has higher dimensional accuracy than SSAW. 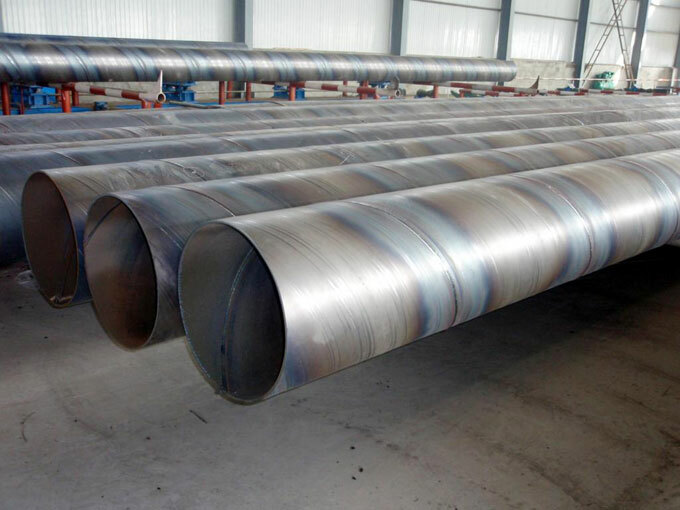 The weld length of SSAW pipe is longer than that of UOE pipe, so the probability of welding defects is higher. UOE separately forming and welding, has a good welding position and welding parameters are easy to control, which ensure the quality of welding. Henan Anson Steel Co., Ltd has the experience of export large quantities of API 5L line pipe and Line pipes of other standards, if you are interested in line pipe product price and details, don't hesitate to contact us now!